Uptown Jazz Cafe celebrates its 7th birthday today, with an appropriately festive gig. Joining in the celebrations we thought of seven reasons that make this club one of the best in Melbourne. It wasn’t hard. Bopstretch Wednesdays. A fiery, swinging, hard-bopping outfit that keeps the straight jazz flame burning. Their residency, every Wednesday, is one of Melbourne’s best jazz mainstays. The window. Overlooking Brunswick Street, trams, cars and all, it makes for a great view that compliments perfectly the sound created onstage – especially when it’s rainy outside and Hetty Kate is singing a ballad inside. Melbourne Improvisers Collective Thursdays. Want to get the chance to see two bands, featuring the best emerging talent the scene has to offer? Look no further. Movies. Screening between sets. We’re not talking any movie, but gems from the French Nouvelle Vague. 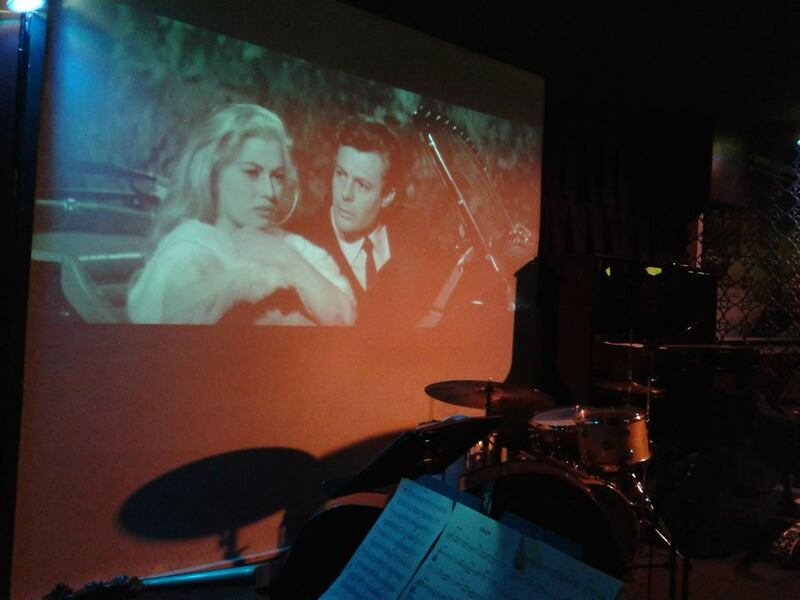 If you’re really lucky, they’ll be playing Fellini’s “La Dolce Vita”. Melbourne Jazz Co-op Sundays. Possibly the best indicator of music creativity in the city. After the demise of Bennetts Lane Jazz Club, Uptown stepped in to serve as the MJC’s home. The immense photo of Charlie Parker on the wall. If you don’t smile looking at it, you’re dead inside. Sonny Rehe. Coolest jazz club owner? Discuss.